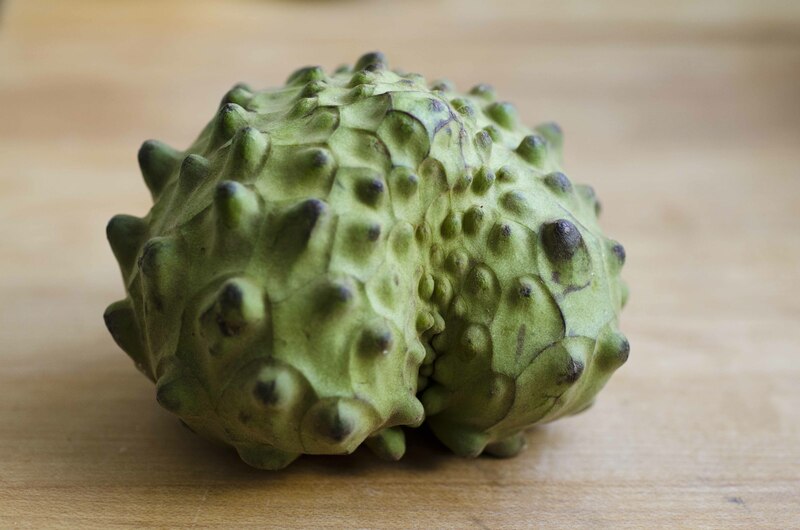 On our recent trip to San Francisco during a Saturday visit to the Ferry Plaza Farmer’s Market I discovered what the farmer called a “cherimoya” but what I have known as a sugar apple or a soursop. 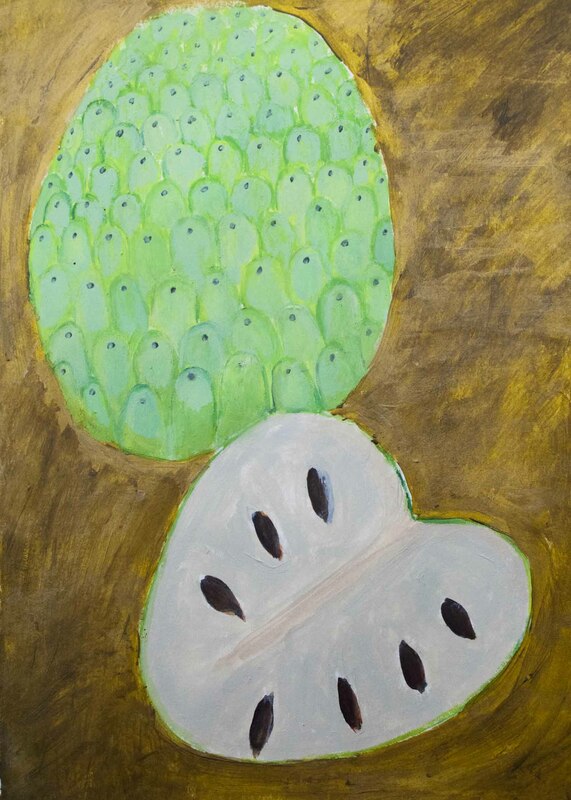 When I went hunting on the internet, the cherimoya looked more like an antemoya, but I don’t think it really matters “cause they are probably versions of one thing and are all probably just as delicious as the soursop and sugar apples I have come to love on our visits to the Caribbean. I don’t much know what you do with them other than eat the flesh as I do, carefully spitting out the toxic seeds or scrape the flesh into a freezer container, freeze it, and eat it like ice cream. The texture is soft and custard-like, the aroma perfumey, and the flavor is so, so delicious – a combination of banana, pineapple, lime, and something not quite ready to identify itself on your tongue. At last! I see these in the market every now and then and had no idea what they were. 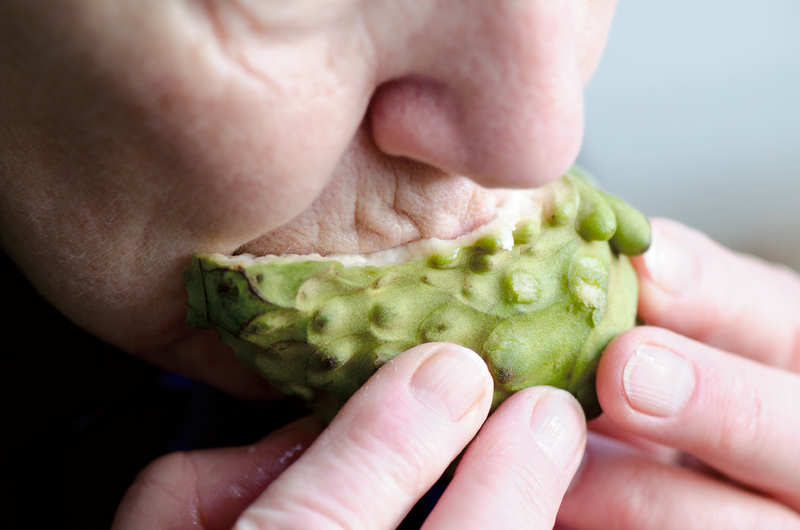 Thanks for the introduction – next time I see a Cherimoya I’ll pick one up and try it out. Thanks. You will very much enjoy them once you try —- this one was particularly custardy and delicious – why don’t we make a trip to Harbour Island to really enjoy them. Excellent idea! I’m curious to try the “freeze and eat as ice cream” approach too. Are there any other fruits that this would also work for? I’m on the lookout for fresh and fruity cold desserts as the summer approaches! 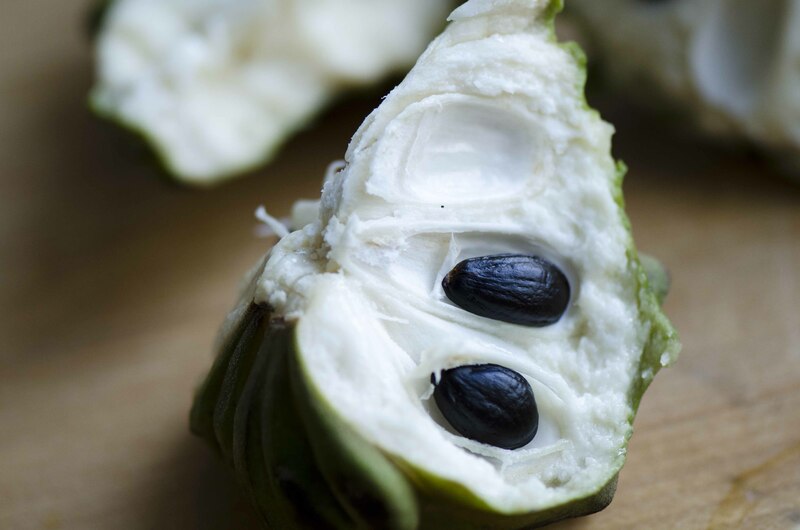 the Australian version of the cherimoya, sugar apple, soursop, is called a custard apple, I didn’t know the seeds are toxic!